5 Dhammakaya temple Buddhist monks scuffle with police after they defied police orders to leave the temple grounds to enable police to seek out their former abbot in Pathum Thani, Thailand. 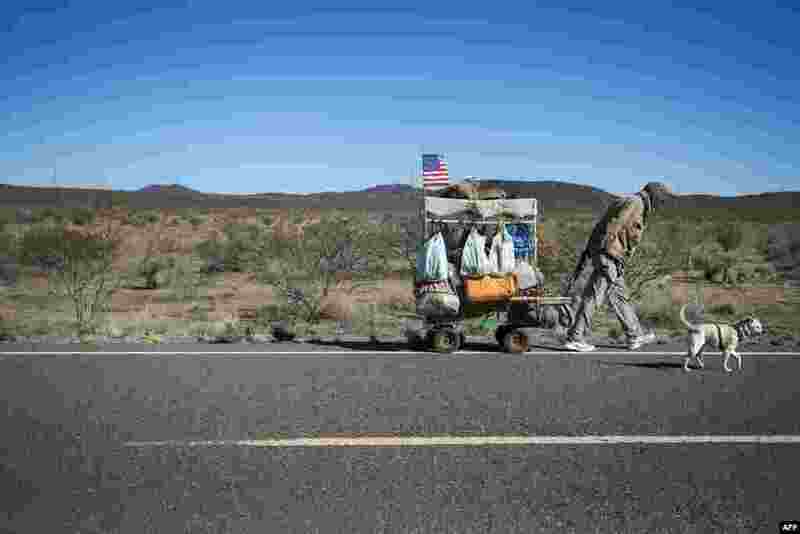 6 Self-proclaimed nomad Chris Kirkland walks along Country Road B002 while on a cross-country hike outside Columbus, New Mexico, near the U.S.-Mexico border, Feb. 19, 2017. 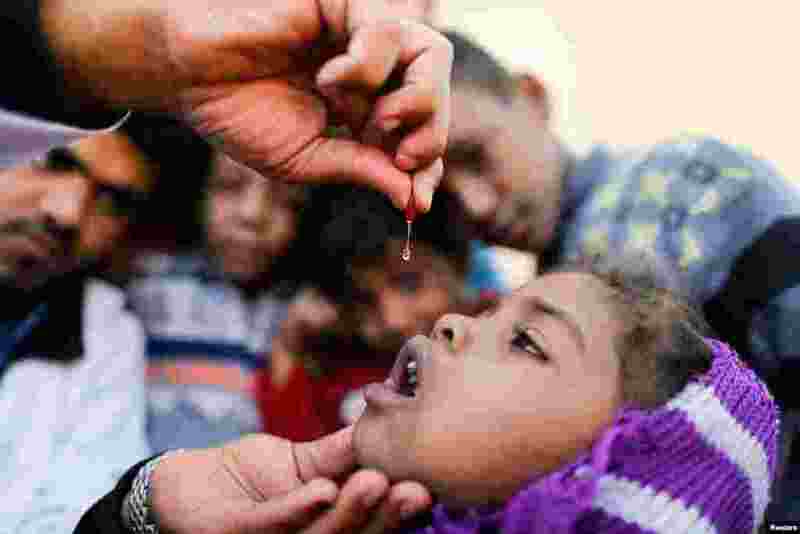 7 A girl is given vitamin A drops during a house-to-house vaccination campaign in Sanaa, Yemen February 20, 2017. 8 A boy moves away as a United Nations World Food Programme (WFP) helicopter lands in Rubkuai village, Unity State, northern South Sudan.